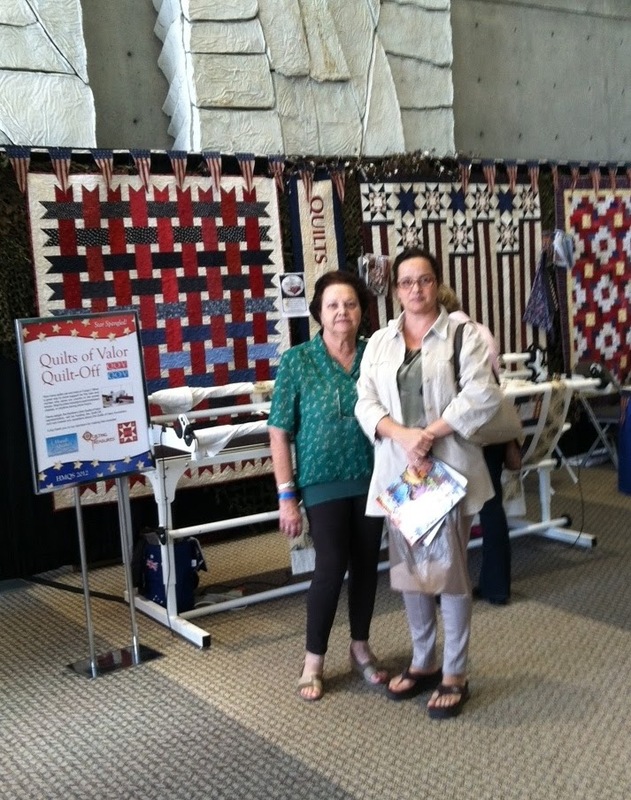 This year's Home Machine Quilting Show in Sandy, Utah, was held from May 10-12. My mom and my sister, visiting from Brazil to attend Michael's wedding, had never been to a quilt show before. Although we were busy with preparations for the wedding, we managed to spare a couple of hours to visit the show. I had a tiny presence at the show in the form of "Refuge", pictured above, a landscape quilt I finished earlier this year. My first time ever, and probably in a long time, as I was humbled by the creativity, execution, and whimsy of all the quilts at the show. Have you ever had a quilt displayed in a show before? What was it like for you? Did you win any awards? Send me a comment about your experience... I am curious now! Ooohh... Denise, do you ever sell any of your creations? I love this piece. What a beautiful image.